Commercial tiles are a functional yet stylish decision for residences as well as commercial spaces. Tiles play an important part in chic interior design, setting the tone and contributing to the atmosphere of a room in a way that’s aesthetically pleasing. As you know, tiles are made up of different materials. Some different types of tiles you can choose from include ceramic, mosaic, cement, natural stone, and more. Vinyl Composition Tile (VCT) is a flooring material which is used in commercial tiles. Commercial tiles are used in places like institutions, hospitals, and etc. with a SCOF or DCOF rating of not more than 0.80. It is advised that wet areas such as pool areas and fountain areas should have polished or glazed tile unless the SCOF and DCOF rating is higher than 0.60. A surface with an incline or decline should have a SCOF and DCOF rating of at last 0.80. Commercial tile flooring is specially designed to withstand the highest foot traffic while also maintaining its beautiful design. 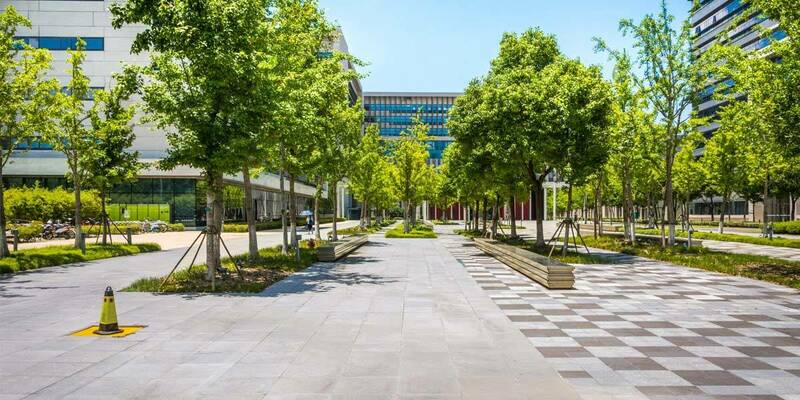 Institutions and schools, retail centers and other public properties use commercial tile flooring for the purpose. It gives visitors a very good first impression towards an interior space and is among the most popular choices for hospitals and institutional settings. Durability is the number one benefit to choosing commercial tile flooring. Manufacturers create these extra-durable tiles by forcing together chips of polyvinyl chloride with heat and pressure. Because of this approach, commercial tiles have less chance for a breakdown, which means you can expect an 18-20 year lifespan for your floors. From a design perspective, commercial tiles are also available in a wide range of colours and patterns that are resistant to fading from ultraviolet lights. As opposed to other flooring materials, commercial tile is quite affordable–remaining cost-effective for your business or construction company. The best thing about this tile is that it has insulation qualities, so it absorbs the sound of footsteps. Tile is also the easiest flooring to clean and does not expand when exposed to water. It is undoubtedly the perfect flooring for commercial use in its function and modern aesthetic. Is your commercial building’s flooring looking a little outdated? Consider freshening up your space with tile! Shopping malls gather traffic because they are the most accessible and democratic place where people can buy various goods, participate in fun activities, and also explore new fashion trends. Because shopping is centered around style and culture, many indoor and outdoor malls opt for visually interesting tile designs. Porcelain, granite, and slate are some of the most popular kinds of tiles that are used in hotels. Because hotels are an upscale commercial space appealing to visitors from various places, tile remains the perfect contender for flooring material since it is clean, sleek, and chic. Among various tile flooring options, porcelain and ceramic remain the first choice material for restaurants–for kitchen and dining areas. Because tile is durable, the flooring will withstand heavy foot traffic in the front-of-house and high-volume labor for back-of-house staff. Keep in mind that glazed tile will add a sheen to your interior design and is also very easy to clean. In most hospitals and clinics, hard flooring is the optimal choice, which includes materials such as wood, marble, and ceramic tiles. Ceramic tile remains one of the most reliable flooring choices, as it’s hygienic and water-resistant for preventing slips and falls. For retail spaces and storefronts, porcelain, granite, slate, and ceramic are some of the best choices when opting for tile flooring. It is important to use attractive designer tiles in a retail store to remain eye-catching for customers. Because train stations and airports have the highest volume of foot traffic, slippery tiles are not advised in such places. For this reason, we always recommend ceramic tile flooring in these commercial spaces. Mosaic is one of the most versatile tiles that can be used in any commercial space, especially headquarters with elaborate lobbies. Other than a mosaic, one can use ceramic, and granite tiles in headquarter to create a working environment. Offices are another type of commercial space in which interior design is of the utmost importance. For this reason, glazed tiles are the ideal option for creating a positive impression and adding beauty to the workplace. Porcelain, ceramic, mosaic, slate, and glass tiles are all chic glazed choices that are bound to enhance any office. Also keep in mind that glass tiles can easily withstand winters and summers, allowing your office to stay temperate and energy efficient at the same time. Banks are a type of commercial property that are owned by the government. In banks, one can use ceramic, granite, and slate tiles which also look good and suit the upscale environment. In museums and exhibitions, management more often than not opts for easy-to-install and easy-to-remove customized tiles. These temporary installations can incorporate tiles made from granite, ceramic, porcelain, and/or slate. By knowing the various materials tiles are made from, you’ll be able to better decide which type of tile flooring is best suited for your commercial space. Let’s have a look at all of the possibilities for your choice in commercial tile flooring! These tiles are made from pebbles that are painted and polished on one side and cut flat on the other. The slab of tile itself is made by adding resin to the pebbles or marbles, which are laid down on a moulding. This tile flooring displays unique characteristics while remaining similar to marble-so it should be treated accordingly during cutting, drilling, and polishing. There are two types of ceramic tiles–unglazed and glazed. Unglazed ceramic tiles provide an easy-to-maintain, attractive floor. They are often used in areas like food courts and restaurants and usually red in color. This is because unglazed ceramic tiles are made from a mixture of clay that is hardened at a high temperature of 220 degrees. Similarly, glazed ceramic tiles are durable and slip-resistant and also resist stains and scratches. These tiles are also made from a mixture of clay–the only difference is that a liquid glass is applied to the mixture at a high temperature. Concrete is one of the most typical flooring types in commercial buildings–especially warehouses. Covering concrete with hardwood flooring or carpet is a common practice, while many commercial spaces, like retail storefronts choose uncovered concrete tiles. Most concrete tiles are made from Portland cement, stone, water, and air. Keep in mind that concrete tile has a high alkaline content–along with moisture, grease, and oil. Porcelain tiles are denser, which makes them more durable and absorbent. 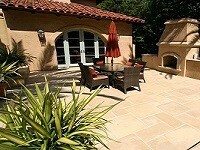 This makes porcelain flooring a perfect choice for outdoor use because it can withstand any type of climate. The composition of these tiles is quite material, but its main base material is a clay mineral called kaolinite. Other raw materials typically used in porcelain tiles include: ball clay, bone ash, quartz, and alabaster. Porcelain tiles are essentially made from finely-ground sand. 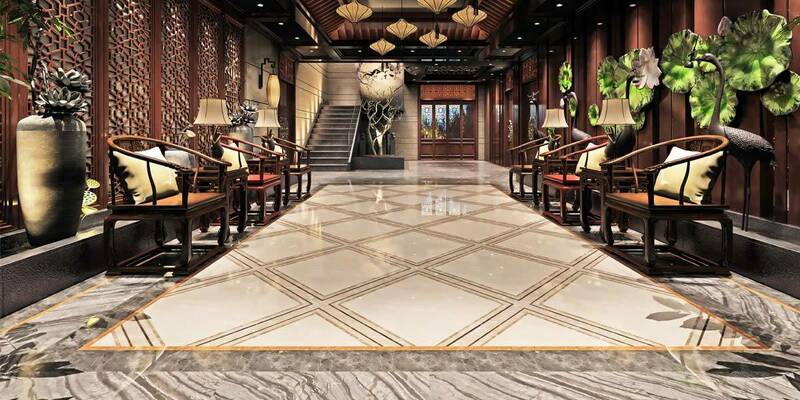 Natural stone flooring like marble is not suitable for large commercial areas because of its acid sensitivity and slippery nature. These tiles also are prone to stain and get scratched more easily. Marble tiles are made from a mixture of calcite and calcium carbonate. Keep in mind that these tiles should be cleaned only by a neutral cleaner–avoid acid-based products and products with high alkalinity. Due to its higher cost, granite is not typically used for commercial property flooring. Instead, granite is ideal flooring for residential properties because it’s stain resistant and does not get scratched. The composition of this tile is a quartz and feldspar mixture. 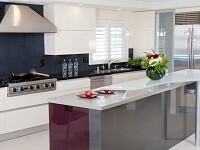 Granite is smooth in nature which makes it unsuitable for finishing with acrylic-based products. Similar to marble, neutral detergents are recommended for granite upkeep and cleaning. Slate is a soft, smooth, and natural stone that is available in different types of patterns, textures, sizes, and colors. It is semi-porous in nature, which makes it durable and stain-resistant. Slate tiles are made from shale and clay quartz, and is not typically finished with acrylic-based products but you can opt for this. These tiles are often recommended for areas exposed to food and liquid spills. Saltillo is a type of clay tile handmade in Mexico and rustic by design. Made from unprocessed clay, saltillo is available in various sizes, textures, and colors. Like slate, it is high-alkaline and porous in nature, so we advise cleaning these tiles with a neutral detergent as well. Keep in mind that saltillo tiles are not designed for freezing temperature but can also be incorporated into commercial walls. They are also a good choice for swimming pools, showers, and bathrooms because they absorb water and retain heat. In the world of modern design, it is important to make residences, workplaces, and other areas beautiful and eye-catching. Whether you love a classic pattern or a cutting-edge style, be sure to select the type of tile that reflects the aesthetic and mood of your space. Make your tile flooring even more interesting and sophisticated by incorporating simple offset triangles. For a more refined and subtle space, strike a balance between the overall color scheme and color of the tiles. Fall in love with minty green wall tiles and matte finish work on the walls for more of a classic, vintage feel in your commercial space. Incorporate an environment-friendly concept for your outdoor spaces to blend into the natural world. Tile is one of the most long-lasting flooring types on the market today because of its resilience and adaptability. It can be installed in a number of different environments while remaining resistant to moisture, stains, and scratches. Here are the top 5 benefits of using commercial tiles. A quality installation can last up to 15-20 years or longer if maintained properly. Even in the case of scratches and cracks, tile can be replaced very easily and withstand wear and tear in heavily crowded areas as well as extreme climates. Keep in mind that you must take proper care of tile flooring to make it last. Different tiles are made up from different raw materials and possess different properties, so it’s important to know which type of cleaner is compatible with your tile flooring. Typically, though, tiles are very easy to maintain and can be cleaned with common household products. Ceramic and porcelain tiles are the most durable tiles with the longest lifespace. Any tile you choose can last for ages if maintained properly. Thorough installation and proper care with non-acidic products will ensure that your tile flooring lasts a lifetime–and then some. Tiles comes in a variety of patterns, textures, and colors for versatile uses like commercial flooring and walls. Tile is also eye-catching in highly crowded areas. You can recreate a variety of designs using different tile patterns. Tiles are generally hard and solid, resisting dirt, dust, and other allergens. Tiles generally do not have any acidic products or chemicals, so they do not harm the environment or compromise your interior space.. Looking For The Best Commercial Tile Store near you? At Westside Tile And Stone, we live by the motto, “For the love of tile.” With this guiding principle, we enjoy transforming interior spaces to exceed your vision and expectations. Westside Tile And Stone prioritizes complete customer satisfaction and quality assurance in our tile offerings and help you select the design, style, and effects that aligns function and aesthetic for your commercial tile flooring project. We believe quality materials and effortless style go hand in hand. Have any questions about commercial tile floors or walls? Contact us today for a free consultation or speak with one of our tile experts at 818-704-9222!